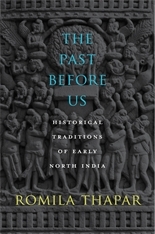 The claim, often made, that India—uniquely among civilizations—lacks historical writing distracts us from a more pertinent question, according to Romila Thapar: how to recognize the historical sense of societies whose past is recorded in ways very different from European conventions. 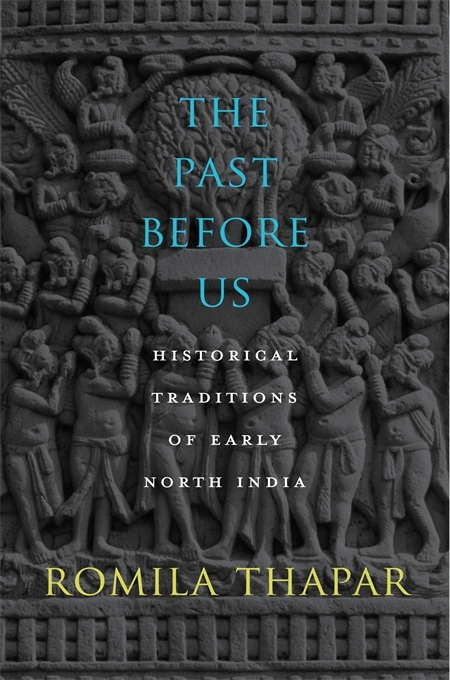 In The Past Before Us, a distinguished scholar of ancient India guides us through a panoramic survey of the historical traditions of North India. Thapar reveals a deep and sophisticated consciousness of history embedded in the diverse body of classical Indian literature. The history recorded in such texts as the Ramayana and the Mahabharata is less concerned with authenticating persons and events than with presenting a picture of traditions striving to retain legitimacy and continuity amid social change. Spanning an epoch of nearly twenty-five hundred years, from 1000 BCE to 1400 CE, Thapar delineates three distinct historical traditions: an Itihasa-Purana tradition of Brahman authors; a tradition composed mainly by Buddhist and Jaina scholars; and a popular bardic tradition. The Vedic corpus, the epics, the Buddhist canon and monastic chronicles, inscriptions, regional accounts, and royal biographies and dramas are all scrutinized afresh—not as sources to be mined for factual data but as genres that disclose how Indians of ancient times represented their own past to themselves.